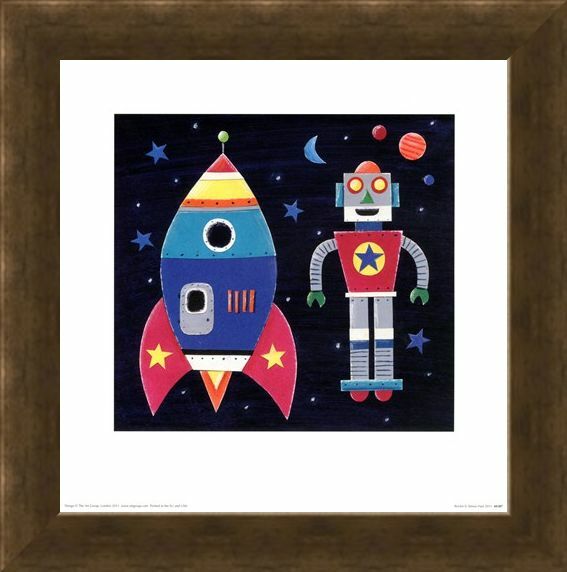 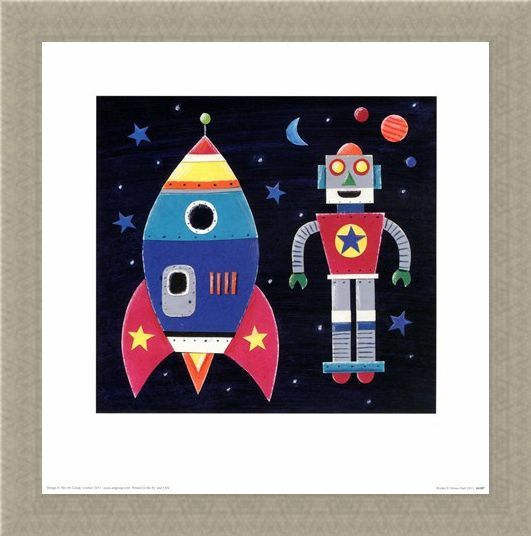 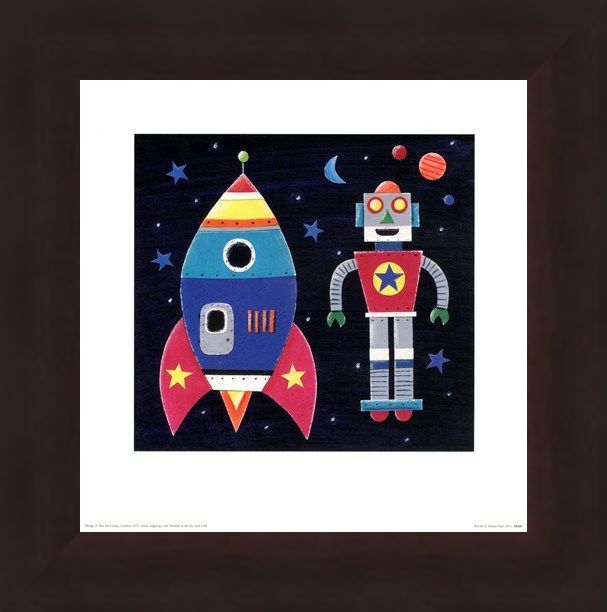 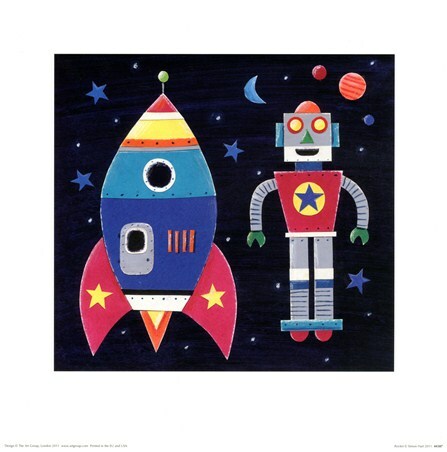 Art Litho Print: Get ready for lift off with this colourful art print by Simon Hart which features a cheerful robot and his vibrant space rocket. As you prepare to jet off into the unknown, you are surrounded by stars and planet which light your way across the universe. 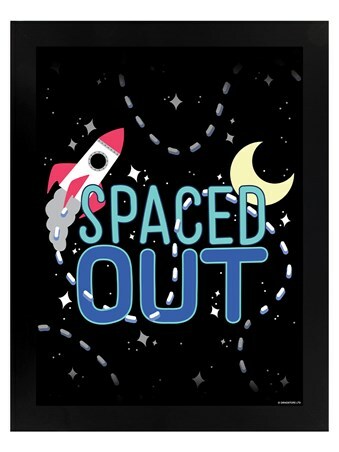 If you have always dreamed of being an astronaut then why not begin your adventures from the comfort of your bedroom with this wonderful art print. 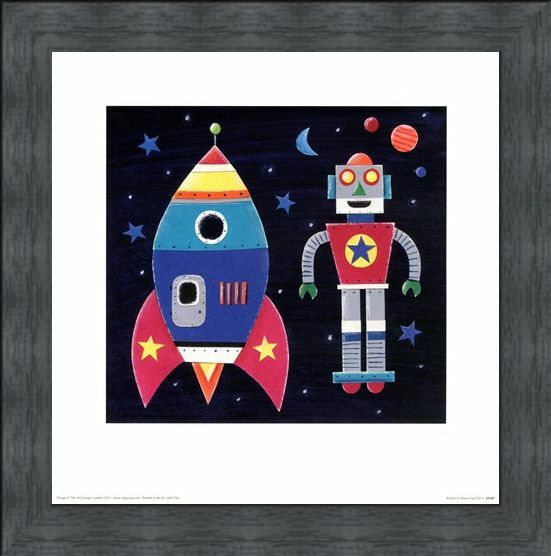 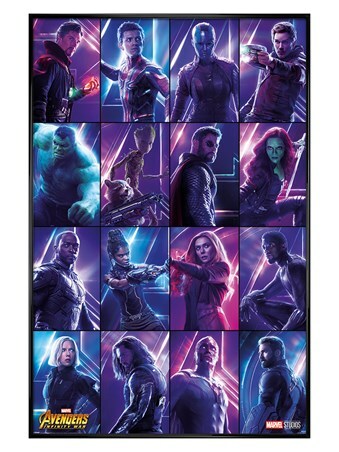 The perfect gift for intergalactic explorers of all ages. High quality, framed Rocket, Simon Hart print with a bespoke frame by our custom framing service.